A halophilic bacterium was isolated from bottom sediment from the Dead Sea. The organism possessed the properties of the halobacteria, but differed from the known species in two important respects, 1) the cells were disc-shaped and often cupped when grown under optimum conditions, 2) the optimum requirements for sodium chloride was in the range 1.7–2.5 molar which is about half of that generally reported for the halobacteria. 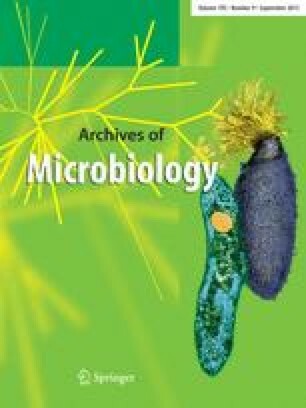 The organism was assigned to the genus Halobacterium and described as Halobacterium volcanii spec.nov. The optimum sodium chloride concentration for growth was close to that found in the Dead Sea. The tolerance for magnesium chloride was very high; the organism grew well in media containing magnesium chloride in the concentrations found in the Dead Sea. Halobacterium volcanii is therefore remarkably well fitted for life in the Dead Sea.